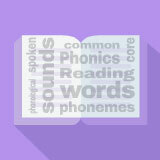 In this experience, students learn to read and write words with prefixes and suffixes. Then, they learn how prefixes and suffixes affect the meaning of base words. Finally, they build real and made-up words by combining affixes and roots from a list. Read words with prefixes and suffixes. Spell words with prefixes and suffixes. Understand how prefixes and suffixes affect word meanings. In this experience, you will learn more about reading, spelling, and understanding words that have word parts called prefixes and suffixes. Discuss student responses. Students may choose a number of titles, but several may note the word scientist. Invite students to look at the word and consider how science and scientist are related. (One is a version of the other, with the same root meaning.) Note that some students may even use more sophisticated scientific titles such as biologist, environmentalist, paleontologist, archaeologist, and so on. If so, invite them to consider what the various names have in common.